Any of our Pigment colors can be used with Glue Paints. Here we provide a recipe for making Hide Glue Paint, followed by a simple glue based craft paint. This produces a very tough, quick drying paint as well as a glue solution for gesso grounds. 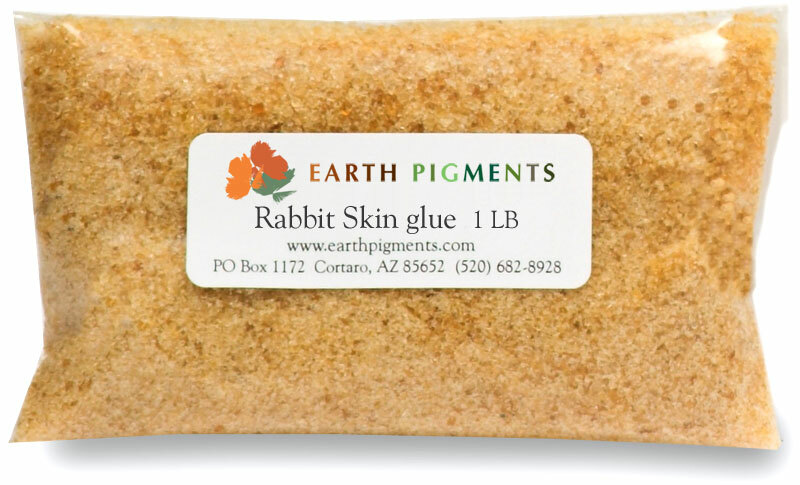 This natural Glue Paint can only be used on absorbent surfaces. Soak the glue granules in water at least ½ hour. Warm in a double boiler until the glue dissolves. The temperature should be 140ºF but should not exceed 180ºF. Hide glue can be reheated, but will lose strength with subsequent reheatings. Keep the solution warm while using it, and lengthen with warm water. For use as a paint to mix with pigments, add pigments directly to the glue solution until desired color is achieved. 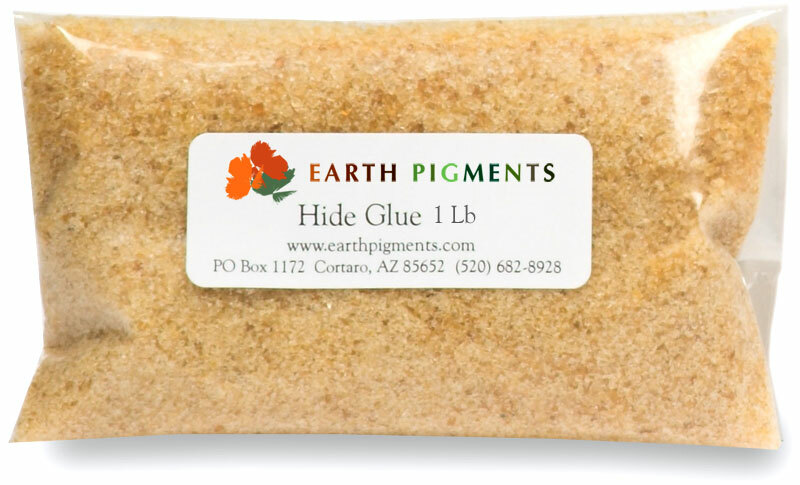 Refer to our Buckskin and Leather section for using hide glue on our Native American Arts Instruction Page. An easy but highly effective craft paint can be created using Elmer's™ glue or any PVA based white glue. Mix water and glue, adding pigments until desired color is achieved, not exceeding a ratio of 20% by volume. Although glue is white when wet, glue and pigment colors will clarify when dry.